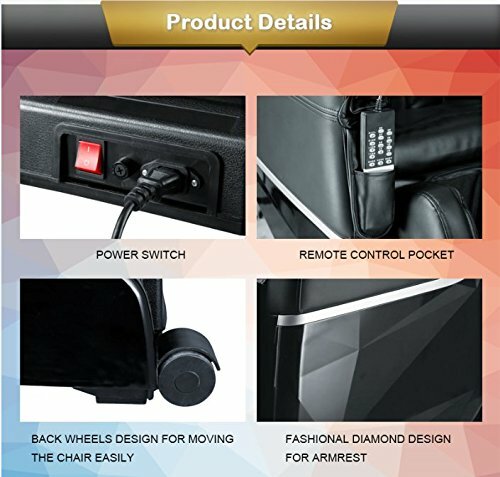 There are two types of massage chairs, one which have quad rollers in the backrest and the other which have fixed massage units embedded in the backrest. 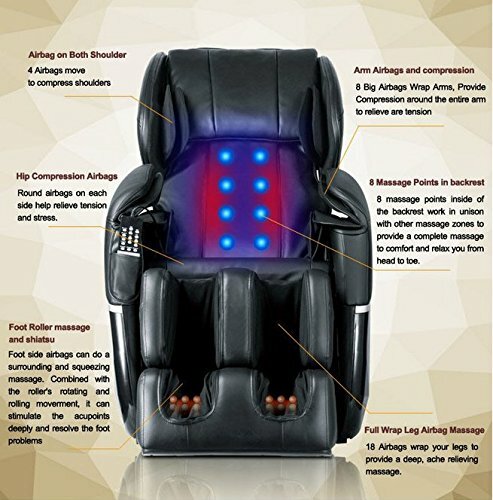 Mr Direct Massage Chair falls in the second category as it has 8 fixed massagers for back massage. Before we move into in-depth analysis following is a quick snapshot of Mr Direct massage chairs feature set. Let me also highlight that Mr Direct is the most affordable massage chair on the market. 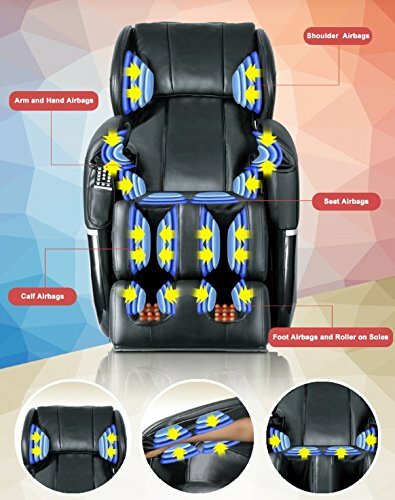 For upper body massage, it has a fixed point massage design wherein 8 shiatsu massage units come fixed in the backrest (as shown in the image). The massage for lower body is again powered by airbags that are placed in legs, calves and feet. Rollers are placed in feet section along with airbags. The fixed 8 point massage design doesn’t need body scan feature. Irrespective of your height, these fixed units placed at 8 critical points in your back, cover pretty much every inch. However, the intensity might differ, if the massage units are at the right location then the massage experience is outstanding. But if the units are not pointing precisely at the critical points, then you have to adjust your seating posture accordingly. It has got a wide range of massage techniques that are combined with the above 3 auto massage programs. As many as 50 massage airbags are distributed around neck, arms and shoulders in the upper body. In lower body, they are present around waist, seat and calves. And for back, you have 8 massage units in backrest while there are both airbags and rollers for feet massage. Even if rollers are excluded from the backrest owing to design but they are included in the footrest. These rollers massage feet souls, arches and heels. If you are new to massage chairs, initially you might feel that these feel rollers are a bit hard on your feet but over time you will get used to it. In any case, till you get used to the intensity, you can rather use soul pads inside your socks for extra cushion. Alongside rollers, there are also airbags inside feet section. 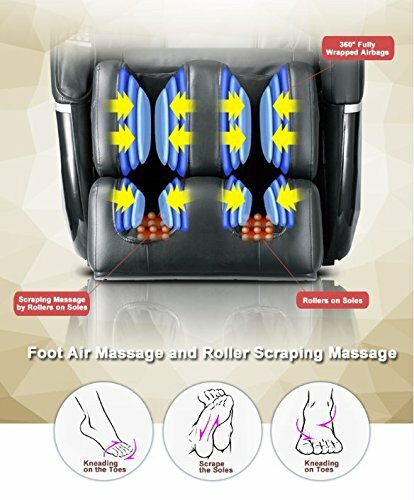 These airbags with different air massage intensity levels offer squeezing and relaxing type of massage that is more soft, soothing and tender on muscles & ligaments in feet. There are three intensity levels to choose from – Light, Gentle and Strong. All settings can be viewed on the remote’s VFD screen. VFD is on par with OLED display and carries high resolution with clear picture. 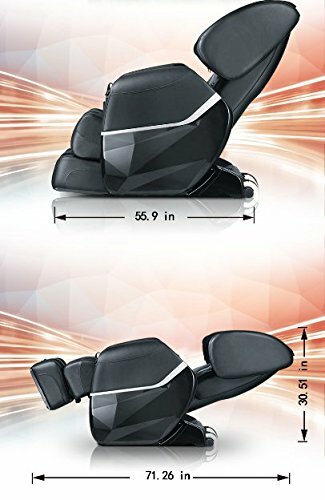 The chair comes with most number of adjustments that are typically not offered by any other chair in this price range. Zero-Gravity is one of the several options that you can avail. But this is the ultimate relaxation posture that not just reliefs muscle pain but also enhances blood circulation as both the head and feet section are lifted upwards. Zero-gravity is a weightless posture wherein the position of your feet from the ground level is slightly above your heart, this significantly improves blood flow to your upper body. In humans, lower back is the most prone area for back pain. Mainly people who work for long hours sitting in chairs that are not ergonomically designed or who sleep on plush mattresses are prone to lower back pain. Even driving for long hours can result in acute pain in lumbar area. And not just a regular massage, but the massage has to combine with some sort of heating around lumbar area for quick pain relief. Mr Direct massage chair has two heating plates placed strategically in lower back or lumbar area. 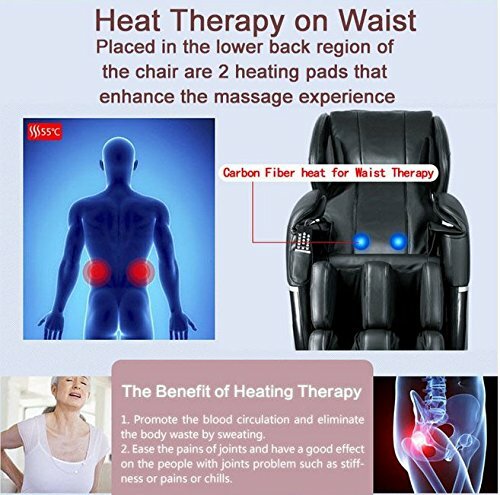 These heating pads when combined with pointed massage units and compression from airbags around hips offer most relaxing as well as relatively faster pain relief. Mr Direct comes with 1 year limited warranty and the shipping weight is 185 lbs. The biggest advantage is that it is relatively far easier to assemble when compared with other chairs that either take lot of time or need white glove assembling help. It offers full body massage, heat therapy, feet rollers and air massage. 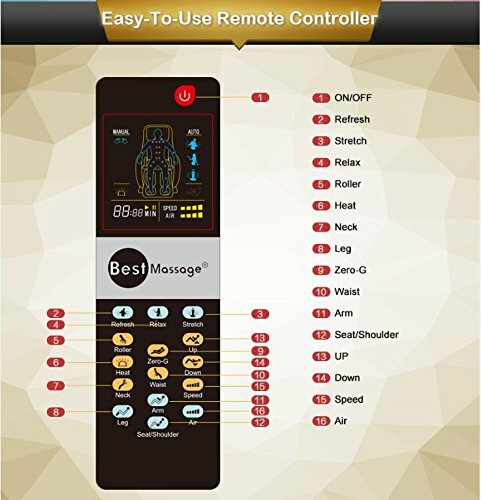 It has 3 auto-massage programs, multiple massage techniques and different intensity levels. Weighing the features against its price, Mr Direct massage chair is surely as steal. The number of reviews are decent, the overall rating is decent and the price is relatively very low. I won’t say it is an exceptional chair but it surely is far more worth than the price it comes at.